The One Brand has donated over 100,000 One condoms to Virgin Unite, the not for profit foundation of the Virgin Group. The two partners are coming together to help people in the fight against the spread of HIV AIDS. Virgin Unite will distribute these condoms to Bhubezi and Ndlovu Clinics in in the Bushbuckridge area in the Mpumalanga province in South Africa. The One brand sells One condoms through a number of major UK retailers including The Co-operative and Morrisons with 100% of the profit funding HIV education and prevention projects in rural Africa. To date we have funded 153 HIV testing days and provided support for over 1,000 HIV positive mothers. This donation sees the brand take further direct action, in partnership with Virgin Unite, to tackle the spread of HIV where it matters most. Speaking on behalf of the One Brand Duncan Goose comments, “World Aids Day highlights the continuing issues regarding the education and prevention of the spread of HIV AIDS and we are really pleased to be able to work with Virgin Unite to provide direct help through One products”. 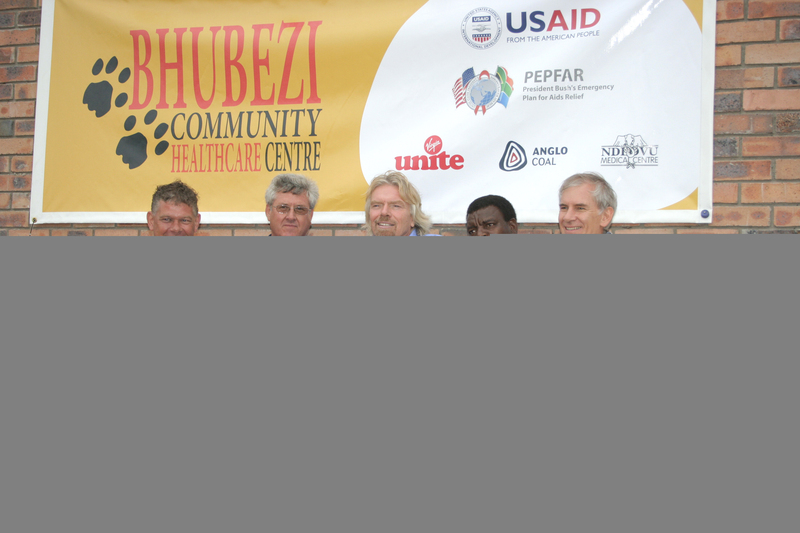 Together with the US Government (PEPFAR/USAID), Anglo American Thermal Coal and the Ndlovu Care Group, the South African Government and the local communities, Virgin Unite launched the Bhubezi Clinic. An innovative public-private partnership to tackle HIV/AIDS and improve healthcare in one of the most impoverished rural areas of South Africa where an estimated 20% of the 500,000 people in the community are HIV positive..
Jean Oelwang, CEO of Virgin Unite adds: “Everyone has the right to basic healthcare. We are very pleased to be working with the One Foundation to distribute their generous donation of over 100,000 condoms to help stop the spread of HIV and AIDS. Thanks also to the wonderful doctors and healthcare professionals working in Bhubezi and Ndlovu clinics in South Africa who have dedicated their lives to keeping people healthy. I’m sure these condoms will be a welcome gift!”. For more information or images about Virgin Unite, please contact Gemma Harris at Lineup Media on 01202 798989 / gemma@lineupmedia.co.uk http://www.lineupmedia.co.uk. For more information on The One Brand, please contact Nancy Saunders at Pretty Green on 07825 248 456. This press release was distributed by ResponseSource Press Release Wire on behalf of Lineup Media in the following categories: Health, Public Sector, Third Sector & Legal, for more information visit https://pressreleasewire.responsesource.com/about.